Richardson: I know where you’re coming from, Michael. My wife drives the 2010 RAV4 with the V-6 engine and there’s not much in that compact size that comes close to its 270 hp. She loves it, too. Lightstone: It was a rocket when it came out, but it died in 2013. Richardson: Toyota found that people wanted better fuel economy in a compact SUV. If they wanted the extra power, it would be for towing a boat or a camper, so they’d opt for the larger Highlander instead. Lightstone: Most compact SUVs are well below 200 hp, so it won’t be so easy for Michael to replace that V-6. Richardson: Especially if he’s not prepared to opt for a sportier vehicle that needs premium fuel. Lightstone: How about the new RAV? That’s pretty powerful. 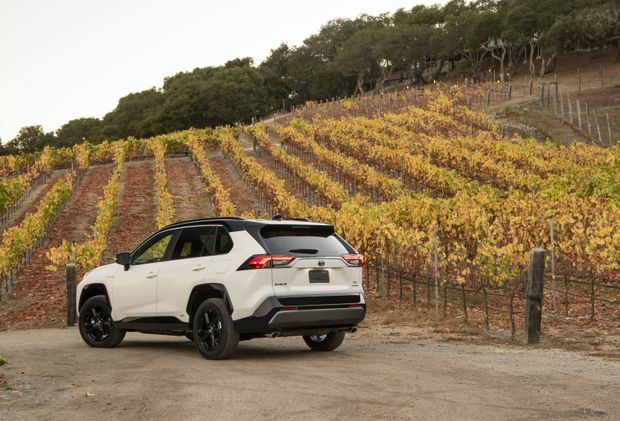 The 2019 Toyota RAV4 XSE. Richardson: The 2019 hybrid RAV4 is good for 219 hp, which is a step up from the 203 hp of the regular 2019 RAV4. The hybrid is the sportier version. You can feel the difference between the two, too. Lightstone: I haven’t driven the new RAV4, so I can’t comment on its drive or amenities, and the hybrid won’t come on sale until the spring. I will vouch for Toyota’s ability to make a quality product, though. Richardson: You can’t say Toyota is the only quality car maker these days. Lightstone: It’s definitely not. 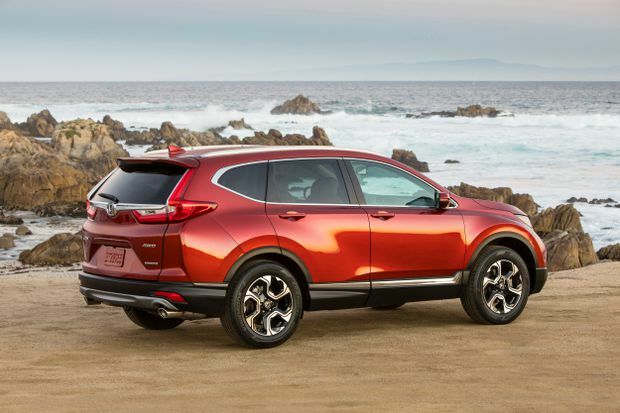 If Michael wants a change from his Toyota life, he should look at the Honda CR-V. I know, I know, it doesn’t have a V-6 and only has 190 horsepower, but it’s as good as the RAV4, for sure. Richardson: No it’s not. The new RAV just blew it into the weeds. You’ll believe it when you drive it. And the Honda doesn’t have anything like the power Michael’s looking for. 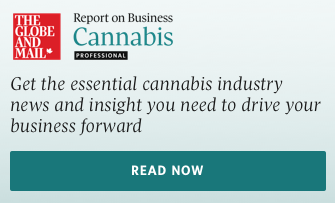 Lightstone: But what does these days? That V-6 RAV rocket was a bit of an anomaly. Richardson: You’re right. Michael will get the mix of size and power with a premium performance brand, like the Porsche Macan S or the BMW X3 M40i, but they’re both around $60,000, and they both need premium fuel. Frankly, he’s aiming high. Lightstone: So, let’s be realistic. 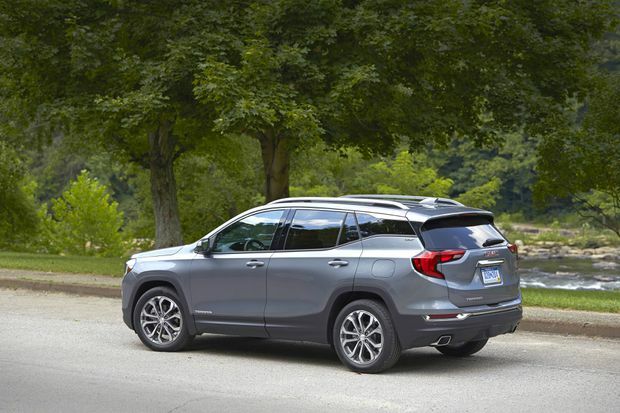 How about the Chevrolet Equinox or GMC Terrain? Richardson: Ah - now we’re talking! If Michael pays the extra $5,000, he can get the 2.0-litre turbo engine that makes 252 hp and 260 lbs.-ft. of torque. 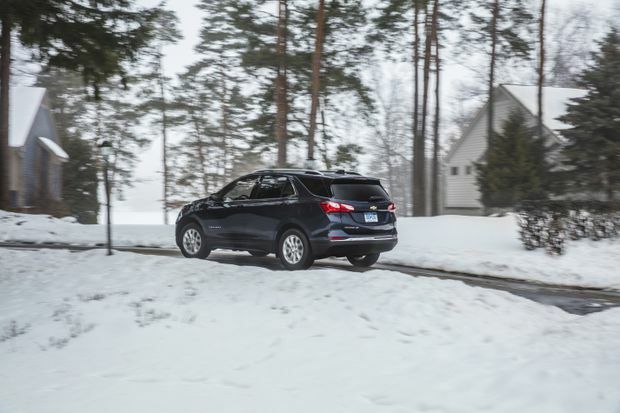 It’s a very manageable engine – it doesn’t jerk from the lights like the old RAV V-6 – and premium fuel is only recommended for when he wants the extra performance. It’s not required to keep it running smoothly. Lightstone: And if he wants to step up a bit in quality, he can opt for the GMC Terrain. The 2.0-litre engine will cost an extra $1,700 as an option on any of the Terrain trims. So he can start at around $34,500 for the Equinox, or about an extra $1,000 on top of that for the Terrain. Richardson: Frankly, I prefer the Equinox over the Terrain because it has a conventional shift lever, instead of fiddly gear selector buttons on the dash, but to each their own. Lightstone: If Michael is so enamored with his old RAV4, he needs to try a new one first. He should try the Honda CR-V too, because it’s such a good all-rounder. But he should also kill two test-drives at one stop with the GMC/Chevy twins to see if he really wants that power.